Tom Hardy 'Warrior'. . Wallpaper and background images in the Tom Hardy club tagged: tom hardy warrior joel edgerton nick nolte photo. 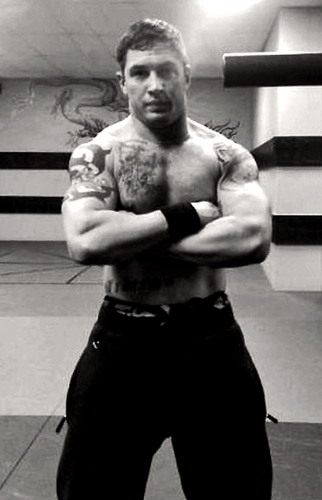 This Tom Hardy photo might contain hunk.